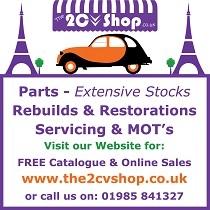 As a Limited Company, 2CVGB Ltd is governed according to its Members' Articles of Association. The club shall be administered by a general committee consisting of three club Officers (Chairman, Secretary and Treasurer) plus, not less than six, and no more than fifteen General Committee Members. 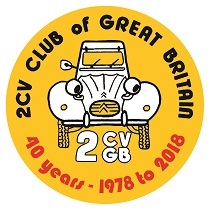 The Officers of the club are obliged to be Directors of the Deux Chevaux Club of Great Britain Limited and serve for three years: all other committee posts are for a duration of two years. General Committee Members may elect to become Directors of the club during their period of office should they so wish. The rules governing the election and retiral of all committee members shall be as laid out in the Articles of Association of the club. The duties of a committee member include the general management of the club and the maintenance of any affiliations to appropriate organisations. In pursuit of their duties the committee shall have the power to form working parties or sub-committees as deemed necessary by circumstance. Such groups may include members who are not committee members but must include at least one Director of the club. The venue, time and date of a committee meeting shall normally be decided at the previous committee meeting. In any case all committee members shall have at least 14 (fourteen) days notice of such a meeting. A committee member, who fails to attend two committee meetings within a year, whether or where no apologies have been sent, may (at the discretion of the committee) be deemed to have resigned. Any 2CVGB Ltd member may attend a committee meeting and may address the meeting if invited to do so by the chairman, but may not vote. The Committee will make sure that as a minimum Committee Meeting dates will be published in the Club magazine, prior to the date of the meeting, to allow all members the opportunity to attend. The dates of these meetings will also be published, where possible, on our website via the forum and/or calendar. Local Groups shall be a group recognised by the committee as having the right to hold meetings in the name of 2CVGB Ltd. Any such meetings or organised events for which an entrance fee is charged may be subject to scrutiny by the committee and a request made for a financial statement or accounts. All local groups must send a representative to the Annual General Meeting or an apology by either letter or email to the Secretary. Failure to do either will be taken as an indication that association with 2CVGB Ltd. is no longer required by the group and the group be removed from the list of recognised local groups. The charging of membership fees by local groups is strongly discouraged. Minutes shall be kept of all committee and sub-committee meetings and signed by the Chairman. A summary of the minutes, prepared by the Secretary, shall be published in the magazine both of committee meetings and the Annual General Meeting and this shall be deemed as having supplied every member with a copy. A full copy of the minutes will be available to any member on request. Members should send their requests to the Secretary together with a stamped self-addressed envelope. The Secretary is required to complete the minutes of the Committee Meeting and circulate through the committee by email at least a month prior to the next Committee Meeting. Any suggested alterations need to be with the Secretary at least 1 week prior to the next Committee Meeting. Upon approval, a précis version is forwarded for publication in the magazine and the full minutes will be made available on the club forum or by SAE. The main account of the club shall be held with a recognised bank. Cheques drawn on the account shall be signed by 2 (two) directors. The directors may open or close other accounts under conditions as it may think fit for the efficient operation of the clubs financial affairs. A speed limit of 10mph on site shall be observed at all Club events. 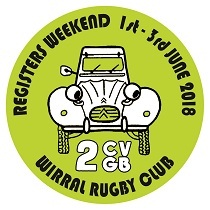 It is the responsibility of the person in charge of any animal(s) at a 2CVGB Ltd-organised event to keep that (those) animal(s) under full and proper control at all times. A ban imposed by 2CVGB Ltd on any person, member or company shall be time limited and decided at a general meeting of the Committee. The length of the time ban will be noted in the minutes of that meeting, along with the reason. Any ban imposed will be in accordance with clause 10 of the clubs articles. Any alterations to the byelaws shall be published in the club magazine within three months.